In Madagascar they have a famous ritual called “famadihana” which means “turning of the bones”. Every five or seven years, family members gather at the family crypt. Live music is played whilst family members exhume the bones, they are then wrapped in cloth and sprayed with wine or perfume. Family members dance with the bones giving them a chance to pass family news onto their loved ones and asking for the bones to be blessed. The Benguet of the North Western Philippines have an interesting funeral tradition. The deceased is dressed in their best clothes, blind folded and a lit cigarette placed in their lips and placed next the main entrance next to the house. A traditional burial into the ground then takes place a few days later. Whereas, their neighbours who live in Manila bury their dead in a hollowed-out tree trunk. If they know they’re going to die they are able to select the tree where they are eventually entombed. Moving on to Tibet, the Vajrayana Buddhists believe in the transmigration of spirits after death. Whilst the body is only an empty vessel, the soul moves onto another world. To return the body to earth, it is chopped into pieces and placed on a mountain top, exposing it to all the elements including vultures. Eighty percent of Tibetans still use this method know as the Sky burial. Finally, when a loved one dies in Aboriginal society in Australia’s Northern Territory, elaborate rituals are held. A smoking ceremony takes place to drive away the sprit, followed by a grand feast where mourners are painted ochre (a rust colour) as they celebrate by dancing and eating food. The body is then placed on top of a platform, covered in leaves and left to naturally decompose. All round the world strong historical traditions, some which go back hundreds of years are still upheld just as they are in the United Kingdom. Whilst funerals have changed in the UK over the last 20 years, people still opt for the traditional funeral ceremony including use of Victorian horses and solid oak coffin. People are always surprised to hear that not all Funeral Directors are qualified, nor do they have a license to practice. There is no legislation in place at the moment, although those of us who are qualified are always pushing to get the government to put something in place to change this. You wouldn’t choose to have an operation by a doctor who was not qualified, yet many families leave their loved ones in the care of an unqualified Funeral Director, as they wrongly think that all Funeral Directors must be qualified. 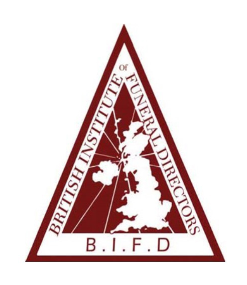 The British Institute of Funeral Directors (BIFD) is an educational institute offering the highest qualification a Funeral Director can achieve. Once qualified with ongoing education, an annual licence to practice can be obtained. When choosing a Funeral Director look out for the BIFD LOGO (pictured above) so that you can be safe in the knowledge that your loved one is in the best possible care. Golcar Under 9’s continued their winning streak in their last cup match. 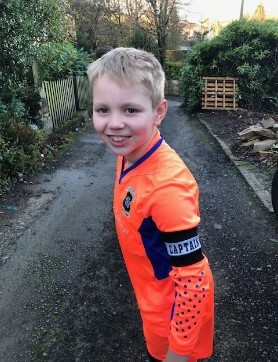 With the match finishing on 3/3 it was taken to penalties, where Captain and Goalkeeper Jake saved every shot resulting in them going through to the Semi-finals. Is your Funeral Director SAIF?? At Pearson Funeral Service we are proud to be members of the Society of Allied and Independent Funeral Directors (SAIF). By being members, this shows not only our commitment to adhering to the stringent guidelines the association sets out to its members, but also our commitment to the families we serve. All our clients are covered by the SAIF Consumer Protection Scheme. This means that in the unlikely event you are dissatisfied with our services you have access to a system or redress you can trust. Out clients are also covered by SAIF CARE, a free bereavement counselling service, providing a telephone helpline, email advice, online chat facility and six face to face counselling sessions. Feedback over the past year has been very positive with many families feeling the benefit of this service. 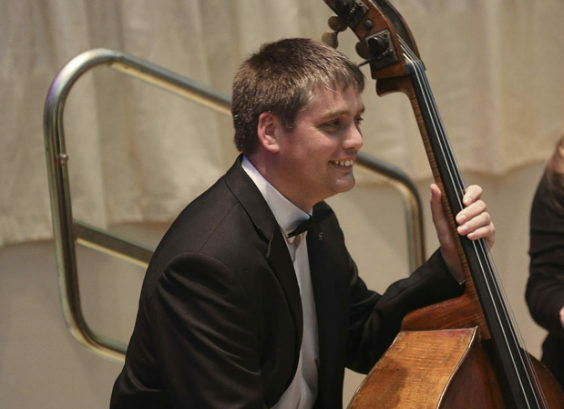 Funeral Director Clive Pearson was seen in action enjoying himself at the latest concert by Slaithwaite Philharmonic Orchestra on the first desk of basses at Huddersfield Town Hall. The programme of music was played to a captive audience with the star of the show, Katy Jones, principle Trombone player from the Halle giving a performance of the Fantasma/Cantos II. We offer a comprehensive, compassionate and dignified service ensuring peace of mind. When deciding upon what kind of funeral service to have there are many things to think about. Whatever you decide, you can trust our family to take care of everything. Since 1920 the company has gone from strength to strength with a reputation that has been built on trust and recommendation. 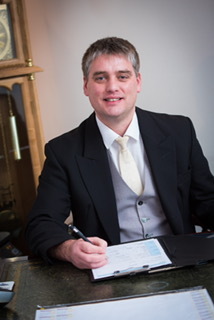 Copyright © 2019 Funeral Directors in Huddersfield - Pearson Funeral Service. All rights reserved.